Top Creative Advertising Agency in Hyderabad, India. Strawberry Branding is one among the top creative and advertising agencies in Hyderabad. Two words that sum up our advertising modus operandi: “Creativity” and “Execution”. The connective tissue between creativity and execution binds us to the relentless pursuit of “making ideas happen”. 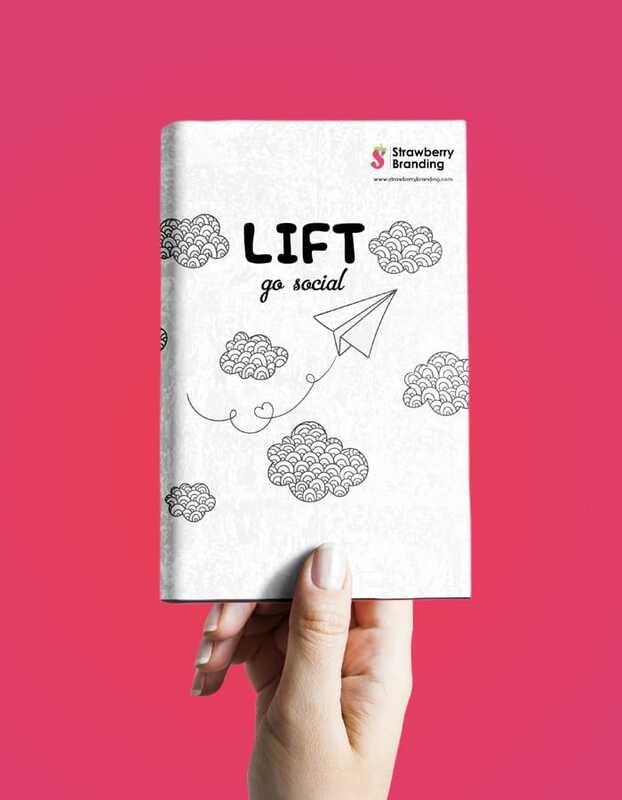 Strawberry Branding gives its imagination full rein, in order to produce unique, stimulating and memorable campaigns that capture sales & business, changing perceptions and building long-term mass awareness. We also offer a full suite of integrated PR Communication services both in office and online media that can help in changing attitudes, provoking actions and improving businesses. The game of PR opens doors to more converged campaigns and strong brands, but the key is putting the right message in the right pocket. Print media advertising is a form of advertising that uses physically printed media, such as magazines and newspapers, to reach consumers, business customers, and prospects. Radio is buying commercials, frequently called spots in the radio industry, to promote their products or services. A television advertisement (also called a television commercial, commercial, ad, TV advert, TVC or simply an advert) is a span of television programming produced and paid for by an organization. Out-of-home advertising or outdoor advertising, also known as out-of-home media or outdoor media, is advertising that reaches the consumers while they are outside their homes. A press release, news release, media release, press statement or video release is a written or recorded communication directed at members of the news media for the purpose of announcing something ostensibly newsworthy. Corporate social responsibility is a type of international private business self-regulation. While once it was possible to describe CSR as an internal organizational policy or a corporate ethic strategy. Media monitoring is the activity of monitoring the output of the print, online and broadcast media. It can be conducted for a variety of reasons, including political, commercial, scientific, and so on. A social media campaign is a coordinated marketing effort to reinforce or assist with a business goal using one or more social media platforms. Campaigns differ from everyday social media efforts because of their increased focus, targeting and measurability. Celebrity branding or celebrity endorsement is a form of an advertising campaign or marketing strategy used by brands, companies, or a non-profit organization which involves celebrities or a well-known person using their social status or their fame to help promote a product, service or even raise awareness. Direct marketing is a form of advertising where organizations communicate directly to customers through a variety of media including cell phone text messaging, email, websites, online adverts, and database. Business-to-business marketing (or B2B marketing, as it is commonly known) involves the sale of one company’s product or service to another company. B2B marketing techniques rely on the same basic principles as consumer marketing but are executed in a unique way. While consumers choose products based not only on price but on popularity, status, and other emotional triggers, B2B buyers make decisions on price and profit potential alone. A product launch is the process of launching a new product in the market for sale and is designed to create awareness of the product. Also, a product launch refers to a process carried out with the help of videos, events and more to showcase the key features of the product. Media planning is the process of identifying and selecting media outlets – mainly newspapers, magazines, websites, TV and radio stations, and outdoor placement – in which to place paid advertisements. The person responsible for evaluating the many media options and strategizing campaigns to support a particular product, service, or brand is called a media planner. Media planners typically are employed by advertising agencies. Experiential marketing is a growing trend which involves marketing a product or a service through experiences that engage the customers and create an emotional attachment to the product/service. Media Relations involves working with media for the purpose of informing the public of an organization's mission, policies and practices in a positive, consistent and credible manner. Typically, this means coordinating directly with the people responsible for producing the news and features in the mass media. Loyalty marketing is an approach to marketing, based on strategic management, in which a company focuses on growing and retaining existing customers through incentives. Media buying is taking a commercial, or newspaper ad, or other sales message and getting it viewed by the intended audience. For example, an advertisement for Centrum Silver would not do well in Teen Beat magazine. A Media buyer links the ad to the intended audience in order to make the ad effective. We would love to hear about your new project?